The previously-thought-lost complete version of "Lose That Long Face"
A Star Is Born is a legendary film. 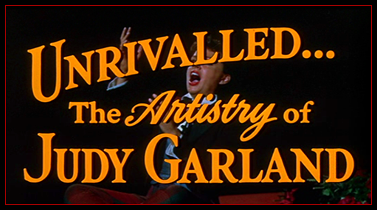 Not only because it’s Judy Garland’s greatest film role, but also because the story of the making of the film, its subsequent butchering by Warner Bros. (yes, it was butchered! ), and the 1983 restoration, is a rare and fascinating look into “behind the scenes” Hollywood, studio politics during the decline of the “Studio System”, and the quest for artistic perfection. The story of the making of A Star Is Born (and its restoration) is beautifully told by the late Ronald Haver in his 1988 book “A Star Is Born – The Making of the 1954 Film and Its 1983 Restoration”.Haver spearheaded the restoration of Star, the first-ever major restoration of a film by the American Film Institute, and his book provides rich details about his efforts, and the efforts of many others, in restoring most of the lost footage. The book also details the making of the film in 1953/1954. Click here to go to the "Restoration Page" here in this spotlight section. I certainly could never tell the complete story of the making of the film as well as Mr. Haver does in both his article in American Film Magazine (detailed in the Restoration Page) or his book. Nor should I! For more details, definitely get his book. It’s a wonderful book not only about the story of the making of the film and the restoration, but of how Hollywood and the studio system worked in the early 1950's. A must for any film fan! The following is sort of a “Cliff’s Notes” version of the history of A Star Is Born (and even this is not short!). I try to highlight the basic story, with some details, plus legends (in a story such as this, legends are rampant), and a few of my own opinions. Enjoy!. 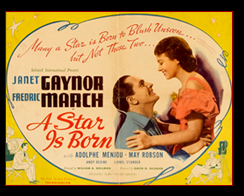 The storyline of A Star Is Born began life in the early 1930’s, when producer David O. Selznick decided to make a serious film about Hollywood of the day. He tapped former reporter Adela Rogers St. Johns who came up with a story based on the marriage of silent star Colleen Moore and alcoholic producer John McCormick. The basic storyline was fleshed out with other stories about other known alcoholic filmmakers, including the well known director Marshall “Mickey” Nielan. More Hollywood lore was added when director Lowell Sherman who portrayed the director in the film (which would become the “Norman Maine” character), based many of the traits of his characterization on his brother-in-law (and well known drinker) John Barrymore. Selznick himself added some of his own memories of Hollywood scandals. George Cukor was assigned to direct. After attempting to provide a comeback for silent film star Clara Bow (Selznick was forced to forgo this due to Bow’s own alcoholism and resulting weight gain), Constance Bennett was given the female lead as “Mary Evans”, a waitress who’s “discovered” by director Maximilian Carey (Lowell Sherman). The film was one of Cukor’s first real hits, helping to establish him as a soon-to-be great director, and it would have a great influence on his work on the 1954 remake. In 1937 Selznick, still fascinated with the story, returned to it for his Technicolor hit A Star Is Born starring Janet Gaynor and Frederick March. Directed by William Wellman, this is the film that would form the basis for the subsequent remakes (Dorothy Parker was among the writers who helped make significant changes in the screenplay). The story was changed a little bit, but the basic theme remained the same. The 1937 version was a huge hit, garnering Oscar nominations for Best Film, Best Actor, & Best Actress among others. The seeds of the 1954 remake actually go back to 1942. On December 28, 1942 Judy Garland and Walter Pigeon starred in a radio version of the 1937 film. Like the 1937 film, the radio version was non-musical, and Judy loved the story so much that she tried (several times) to convince MGM to do a musical remake. MGM flatly refused, feeling that the public would never accept sweet girl-next-door Garland as the wife of an alcoholic. Segue to 1952. 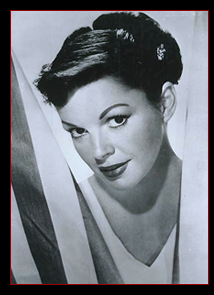 Judy had just triumphed at the London Palladium and The Palace Theater in New York after leaving MGM in 1950 as a “Hollywood has-been” (at the tender age of 28!!). She was such a huge hit that she almost single handedly “invented” the one-woman concert show of the latter 20th century. 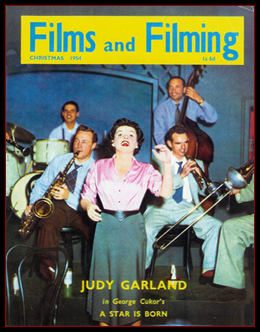 With her new mature image, Garland and husband Sid Luft began to shop around the idea for Judy’s comeback to films. Judy suggested Star and Jack Warner of Warner Bros decided to finance the film. Judy and Sid formed their own production company “Transcona Enterprises” and entered into a contract with Warner Bros to co-produce films, with Star being the first. Cary Grant was the first choice for the pivotal role of “Norman Maine” – the actor who discovers Vicki Lester (Judy) and helps to make her a star, while his own career is on the downslide due to his alcoholism. Grant graciously declined, feeling he wouldn't be right for the part, so James Mason got the role. Prior to Mason getting the role, many other leading actors of the day were considered, including Laurence Olivier, Richard Burton, Tyrone Power & Marlon Brando. Production began in the summer of 1953. Almost immediately the problems did too. At the time, much of the blame for the delays was put on Judy (due to her reputation), but it has since been revealed that Judy was more of a scapegoat than the real “problem.” One of the main problems with the film was studio chief Jack Warner. Basically Sid and Judy rubbed Warner the wrong way on several occasions and several issues, and Warner eventually lost interest in the projecct, ignoring the fact that he was sinking a ton of money into it and gambling his and the studio's reputation. One thing the studio chiefs had was ego! Perhaps the biggest reason for the initial delays and bloated budget was that about a month into shooting, Warner decided to scrap everything and re-shoot in CinemaScope. CinemaScope was the was the big new (and expensive) widescreen process that was seen by many studio heads as the answer to the red ink caused by post-war television keeping the public at home. Warner also wanted to use their new “Warner Color” process, but luckily Cukor and company prevailed and far superior Technicolor was used. NOTE: Cukor hated CinemaScope, remarking that he felt like he was shooting through a coffin. His solution was to frame much of the far sides of the film in shadows, creating a singular mood. In other scenes he would fill the sides with visuals that would draw the action in to the actors. This makes sense because A Star Is Born is a character driven story, not a big “wide-screen epic” as was popular for CinemaScope pictures at that time. Judy did cause some delays due to her famous insecurities. A lot was riding on this film. Three years earlier, Hollywood had written her off as a casualty of fame and fortune and growing up on a studio backlot. After her great concert comebacks of 1951 & 1952, Judy knew that Star was her one chance to prove to Hollywood that she could still rally to the occasion and carry a film. As a result, she sometimes had to be coaxed onto the set to perform. But Judy wasn’t a temperamental diva as so many people have assumed. A great number of Judy’s contemporaries have pointed out that she was such a professional she always knew if she was going to be good or not. If she wasn’t, she didn’t want to perform. Judy would actually save time by being able to come on to the set and perform brilliantly in the least amount of takes necessary. The various delays, along with Sid Luft’s inexperience as a producer, exasperated Warner. Warner was irritated not only that the film was taking a long time to make and going over budget, but that “producer” Luft was spending most of his time at the race track and not taking control of the project. In spite of all of this, something was happening. 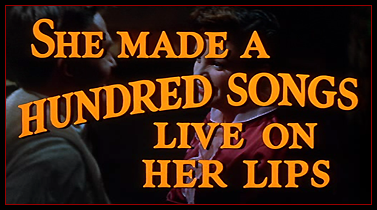 Cukor, Judy and the rest of the production were slowly making a masterpiece. This was Cukor’s first musical, and his first film in color. He ran with it, taking full advantage of the CinemaScope screen, state-of-the-art stereo, and Judy’s talent. Cukor created a film that has a singular view of Hollywood. A realism permeates the film that is missing in most films about Hollywood, before or since. When the film was finished, even Warner was happy with the results. All agreed it was going to be a huge hit. All agreed that it was a masterpiece of filmmaking. And most of all, all agreed that it was Judy’s greatest performance. Only one thing remained: There was no “proof” of Vicki Lester (Judy) becoming a star. As it was, the film showed Vicki and Norman (James Mason) going to see Vicki’s film debut, then it cut to the theater lobby after the film, with the crowds lauding Vicki’s performance. The decision was made to film a “payoff” number showing why Vicki became such a big star. They came up with the “Born In A Trunk” sequence – which was Warner Bros. answer to the popular “ballets” in the current MGM musicals. This added more time to the already long film, making it a total of 196 minutes long by the time of the previews. The previews received unanimous praise. Everyone agreed that Judy, Cukor and Mason had given their best and created a masterpiece of filmmaking unlike anything anyone had seen. Even today, the film has its own singular look and style. When the film premiered on September 29, 1954 it was the biggest premiere in Hollywood history. It was the first to be televised in its entirety. All of the stars of the day were there. George Jessel (who in 1935 had renamed “The Gumm Sisters” “The Garland Sisters” – and thus Frances Gumm became Frances Garland who became Judy Garland), assisted Jack Carson (“Libby” in the film) in introducing the galaxy of stars on their way into the theater. All were heaping praise and accolades on Judy. Everyone seemed excited and happy to have Judy back. 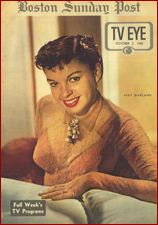 When the film went into general release, it had the fortune of glowing reviews and a Life Magazine cover story (Judy’s second cover, her first was in 1944 for Meet Me In St. Louis) to help promote it. But that was about all. Early on, theater owners began complaining about the length of the film. This meant fewer showings per day, which meant less money for Warners. Studio boss Harry Warner had his fill of Garland and Luft, and since Cukor and everyone else had left for other projects Harry had his brother Jack order the theaters to return the film to the studio. The studio then chopped out chunks of the film to cut it down to 154 minutes. The cut footage was allegedly destroyed. I personally believe this was his vindictiveness to “get back” at Judy and Sid. Never has there been such a blatant disregard for the work of artists by an executive of a major studio than when Warner chopped out chunks of the narrative and musical numbers for time’s sake. Cukor and Judy were so upset and hurt by the cuts, they vowed never to see their butchered masterpiece again. Cukor later remarked that he could have gone in and trimmed several scenes to make the running time shorter but not jeopardize the narrative. But the studio wasn't about to bring him back on the payroll. The cut version was choppy and at times nonsensical. Word of mouth spread that the version in general release was not as great as initially reported. Money began to drop off.Added to the cost of the picture was the decision to re-shoot in CinemaScope, the added “Born In A Trunk” sequence, the costs in having all the prints shipped back and cut to the shorter version then shipped back out, and the promotions – which all added up to the film not making a profit. Judy and Sid’s Transcona Enterprises would not make another film. Jack Warner was so “over it” that when awards season rolled around, Warner Bros. didn’t place any ads promoting what was their biggest film of the year. Still, Judy and James Mason both received Oscar nominations, and the film was also nominated for Art Direction, Set Decoration, Costume Design, Musical Score and Song ("The Man That Got Away"). It wouldn't win any of them. Oddly, neither George Cukor nor the film itself received nominations. This oversight was partly due to a sort of “backlash” against the film. Warner would tell anyone who listened how Judy and Sid were reckless and irresponsible while making the film, and that was the reason for the high costs (ignoring his own part in all of it). Plus, everyone in Hollywood knew that the final release version was not the same film they all loved at the premiere and immediately afterwards. However, everyone unaimously agreed that Judy gave not only her own personal best, but one of the greatest performances in screen history, musical or non-musical. Judy lost the Oscar to Grace Kelly. Legends abound. One book that I saw quite a few years back about the Oscars reported either Hedda Hopper or Louella Parsons stating that they knew for a fact that most of the MGM studio executives supposedly voted against Judy – their noses out of joint that she would go to Warner Bros. rather than MGM to make her comeback masterpiece. Another legend is that many people in Hollywood felt that Judy was a spoiled Hollywood brat who still created temperamental, unprofessional delays on every film she made and this was her comeuppance. Other scenarios have Grace Kelly as the “new hot thing” in Hollywood (she was) who was willing to “de-glamourize” herself for a dramatic role – and Grace was indeed a hot commodity, who allegedly had slept her way to the top (I told you there would be some “legends” reported). Whether these or any of the other stories are really true is beside the point. The main point is that this really was “make or break” for Judy in Hollywood. Losing the Oscar was proof to her that Hollywood didn’t really want her back. In the years since its release, A Star Is Born would be reissued a few times and then sold to TV. Television would give it the ultimate death knell when it would trim even MORE footage to make it fit into a conventional 2 hour spot with commercials. Long before the days of “home entertainment” and “letterboxing” the film would suffer (as all CinemaScope films did) by having half of its picture cut off to fit on TV. For years, film students, film buffs, experts, and the curious, would scratch their heads at what they saw on TV as “Judy Garland’s greatest role”. Many would wonder just what became of the original film? Enter Ronald Haver. He convinced the American Film Institute to make A Star Is Born the first in their new efforts in film restoration. The story of the restoration is detailed by Mr. Haver himself in his article for American Film Magazine in 1983. 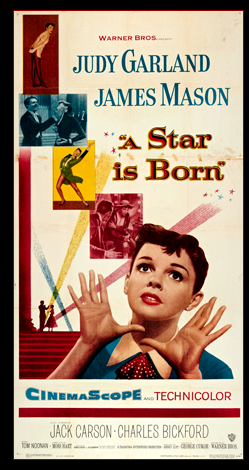 It’s a condensed version of his book “A Star Is Born: The Making of the 1954 Movie and Its 1983 Restoration” – Click here to read this fascinating article. Sadly, Judy and Cukor didn’t live long enough to see their masterpiece come back to life in as complete a form as possible. Luckily for all of us, people such as Ronald Haver and many, many others have been dedicated to preserving film for generations come. 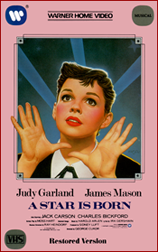 A Star Is Born is a lasting testament to the incredible artistry of Judy Garland, James Mason, George Cukor, and the rest of the dedicated men and women who, in 1953/1954 created a one-of-a-kind film masterpiece. Judy and husband Sid Luft have just formed a new production company, "Transcona" and they enter into a production deal with Warner Bros. to make 9 films, three of which are to star Judy. The first to be A Star Is Born. Another title for the 9 proposed was Sid's long running idea to make the story of the horse "Man O'War". The above deal is "formally" announced. A deal is struck where Judy would be paid $100,000 for Star, and Transcona would receive half of the film's profits. Judy gives birth to her second child, Lorna Luft. Judy is in New York at the St. Regis Hotel and sings at Jack Warner's daughter's "Coming-Out" Party hosted by Elsa Maxwell. Judy's mother, Ethel Gumm, has a heart attack and dies in Santa Monica, California. In spite of recent estrangement, and a tangled "love/hate" relationship with her mother, Judy is devastated by the loss. Ethel Gumm is laid to rest. Judy records "Send My Baby Back To Me", "Without A Memory", "Go Home Joe", and "Heartbroken", her only singles under a new contract with Columbia Records. The contract includes the release of the original soundtrack recording of A Star Is Born. These would be the only work of Judy's that Columbia would release. NOTE: "Heartbroken" was co-written by Fred Ebb, who would later write most of Judy's daughter Liza's big hits, as well as the scores for many Broadway (and eventually film) hit musicals including "Cabaret" and "Chicago". Judy's first official day of work on A Star Is Born. Judy records "Here's What I'm Here For" in her first recording session for A Star Is Born. Because Star was Warners' big state-of-the art film, the score was recorded in true stereo with a huge orchestra under the direction of Ray Heindorf. Unfortunately, the original recording masters were destroyed along with the footage when the sequence was cut by Jack Warner (Warner Bros. was not as diligent in saving "unwanted" material as MGM was). The stereo music & effects track does exist for the edited version. When the film was restored and presented in 1983, this song as well as "Lose That Long Face" were "stereo enhanced". Judy records "Gotta Have Me Go With You". Judy records "The Man That Got Away". 10/12/53 Pre-production work continues on A Star Is Born. Including many wardrobe fittings, make-up tests, work with the music and songs, and much more. NOTE: For a more detailed account of the shooting schedule of A Star Is Born your best bets would be to get the Ronald Haver book "A Star Is Born - The Making of the 1953 Film and its 1983 Restoration" as well as Scott Schechter's book "Judy Garland - The Day by Day Chronicle of a Legend". Both books are excellent and worth every penny. First day of actual filming. First scenes to be shot are of "Esther" having her first taste of filming for the movies with her comical scene sitting in train waving goodbye out the window in the snow. First filming of "The Man That Got Away". The number was filmed in both "standard ratio" and "CinemaScope". Neither of these was used in the final film, but upon viewing the CinemaScope version the following day, Jack Warner (Studio Chief of Warner Bros.) decided to have the film shot in CinemaScope and Technicolor - which meant that the previous few weeks of filming had to be scrapped and re-shot. 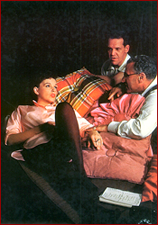 "The Man That Got Away" is re-shot, this time with a different composition in lighting and staging, and Judy's costume. The October 20th footage had Judy in a light skirt and pink blouse. This time she's in a brown dress. Judy would do 27 takes of the number during these three days. Each time she would exhaust herself by singing along with her own voice on the playback disc. Almost as if she were competing with herself. 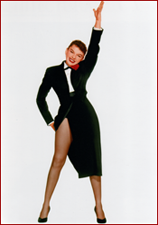 Director George Cukor would later marvel at Judy's way of "lip synching". Filming continues on A Star Is Born. The following entries are highlights of this marathon filming. Again, for a more detailed account of the shooting schedule of A Star Is Born your best bets would be to get the Ronald Haver book "A Star Is Born - The Making of the 1953 Film and its 1983 Restoration" as well as Scott Schechter's book "Judy Garland - The Day by Day Chronicle of a Legend". Judy records "It's A New World" and "Somewhere There's A Someone". Judy did more takes of the song "Here's What I'm Here For". Judy did more takes of the song "It's A New World". Filming on location at the Shrine Auditorium. 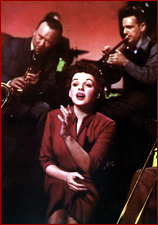 On December 30th, 1953 Judy would film the "Gotta Have Me Go With You" number. On January 2, 1954 she would film the famous "Hello everybody, this is MRS. Norman Maine". On location in Laguna, California. The scenes shot on this day were deleted prior to the original release of the film. These were scenes of Judy and James having a picnic on the beach, where Judy sings a reprise of "It's A New World". The footage no longer exists but production stills do, and one particular color photo of a close embrace between Judy and James Mason was used many times in promotional materials throughout the years. Filming of the "Somewhere There's A Someone" number. Filming for this sequence would continue through February 12, 1954. Retakes of the "Downbeat Club" sequence. This includes "The Man That Got Away". According to the information provided by Ronald Haver for the restoration, the version seen in the film was shot at this time. However, according to Scott Schechter's "Day-By-Day Chronicle" book, the version seen in the film was shot in October 1953, during the 3-day filming. It makes sense that the film version probably was done here, in February of 1954, as the entire composition of the number, not to mention Judy's dress and "look" (she looks as thought she's lost some weight when compared to the earlier versions) are completely different than the October footage. More retakes in the "Downbeat Club" would be done on February 27th - it's possible the song was re-done here as well. Judy records more takes of "Lose That Long Face". Filming starts on the "Lose That Long Face" number. It would be filmed on and off, with retakes, through May 6, 1954. 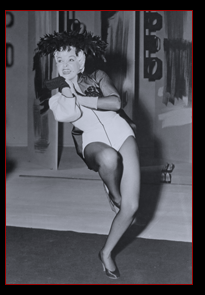 Also in May of 1954, Judy begins rehearsals for the "Born In A Trunk" sequence. Judy begins recording the songs and narraration for "Born In A Trunk". Judy's birthday. She turns 32. Judy records "Swanee" and "Black Bottom". NOTE: A wonderful outtake from this recording session is on the "Judy" CD box set from 32 Records. Judy is recording a "pick-up" of part of the song and something tickles her into laughing and cracking up with the crew. She then tears into the pick-up as if nothing happened - and in incredible voice. Judy records "I'll Get By" and "You Took Advantage Of Me" for "Born In A Trunk". 06/16/54 Judy records "When My Sugar Walks Down The Street" and "Peanut Vendor". NOTE: "When My Sugar" would be cut from the sequence prior to the original release of the film. The cut footage can be seen on the DVD. NOTE: At this time, Judy and Sid were close friends of Humphrey Bogart and Lauren Bacall. Legend has it that in the "Peanut Vendor" sequence, the voice of the drunk "Sing 'Melancholy Baby'" is none other than Bogart himself, done on a lark for Judy. 06/18/54 Judy records more of the narration for "Born In A Trunk". 06/30/54 Filming begins on "Swanee" for the "Born In A Trunk" sequence. Filming of "Swanee" would continue through July 7th. 07/12/54 Filming begins on "Black Bottom" for the "Born In A Trunk" sequence. 07/13/54 Filming continues on "Black Bottom" for the "Born In A Trunk" sequence. 07/15/54 Judy records "Melancholy Baby". 07/17/54 Filming of "Melancholy Baby" for the "Born In A Trunk" sequence. 07/22/54 Filming of the "Born In A Trunk" scenes of Judy in the agent's offices and running around the "hallways". 07/28/54 Final day of filming! Scenes shot were for the "Born In A Trunk" sequence: "Judy's Olio"; retakes of the "Second Nightclub"; and retakes of the "Peanut Vendor" sequence. 08/02/54 First preview of A Star Is Born in Hunnigton Park, California. At this time, the film ran 196 minutes (3 hours and 16 minutes). Preview cards were ecstatic, with someone writing "Don't cut a single minute of it...". This simple statement would have particular resonance in the coming months, when everyone seemed to want to cut something out of the film. 08/03/54 Second preview at the Encino Theater on Ventura Blvd, Los Angeles, California. More raves on the preview cards. Prior to the premiere, 15 minutes would be cut from the film, making its running time 181 minutes. 09/29/54 World Premiere of A Star Is Born at the Pantages Theater, Hollywood, California. This was the "Premiere to end all premieres"! It was the first to be telecast live on television (by NBC-TV). Every star in Hollywood came out for it. Old and young alike. Jack Carson ("Libby" in the film) helped with the introductions of the stars to the TV audience as they arrived (very similar to the "Benefit Sequence" that opens the film). Everyone had raves for Judy (some stars had already seen the film). Judy arrived with Sid and Jack Warner. The entire broadcast can be seen on the DVD. Afterwards, there was a post-premiere party at the Coconut Grove - footage of this is on the DVD as well. 10/11/54 The New York premiere was held at two theaters simultaneously: the Victoria and the Capital. George Jessel was the emcee for the post-premiere dinner at the Waldorf. October 1954 Harry Warner, responding to theater owner's complaints that the film was too long (so therefore they couldn't get as many showings per day as a normal length film), ordered cuts to be made. Judy would later say that they didn't "cut" the film "Harry Warner gummed it to death"! The cuts were made without Cukor's assistance, with Warners taking out chunks of film (supposedly per Harry Warner) which destroyed major developments in the narrative and made the film uneven. He even ordered that the songs "Here's What I'm Here For" (and its charming proposal scene) and "Lose That Long Face" (the full number AND the reprise) were to be cut as well. 27 minutes in all were cut. The cut version was then shipped back out to theaters (the studio had gotten all of the complete versions sent back to the studio prior to this). That version was the "final" version of the film. Word-of-mouth spread that this was not the film originally released, and business dropped off. The film would be considered a financial failure (even though it technically made more money than it had cost). Both Judy Garland and George Cukor vowed never to see the cut version of their masterpiece. 03/08/55 Judy is presented with Look magazine's Best Actress Award for A Star Is Born. Judy would also received Best Actress Awards from Film Daily (through their poll) and Box Office Publication. Not to mention the all important "Golden Globe Award". This was in the day when there were not as many awards and "awards shows" as there are now, and Judy's sweep was considered a precurser to the Academy Awards' Oscar for Best Actress. 3/29/54 Judy gives birth to her third (and final) child Joseph Wiley Luft. 3/30/54 The "infamous" Academy Awards, televised live on NBC-TV. Judy was still in the hospital, and the network was so sure that she should win, they had a crew go over and set up her hospital room for a direct live feed so they could show Judy's acceptance from her hospital bed. The rest is legend. Grace Kelly was announced as the winner for The Country Girl. Judy would later make fun of the fact that within just a few minutes she was "all alone" (Sid was with her) because as soon as Grace Kelly's name was announced, the TV crew swiftly took everything down and disappeared, without saying one single word. The famous telegram by Groucho Marx stated that it was "the biggest robbery since the Brinks". Judy took it on the chin, and always said that her son Joey was her own special "Oscar". The story would become one of Judy's favorite anecdotes to tell in concert and on TV, showing off her self-deprecating humor. 07/7/83 The premiere of the recently restored version of the film in New York City. Click here to go to the special "Restoration Page" and read all about the restoration as told by the man who was instrumental in finding as much missing footage as possible, the late Ronald Haver. 1984: The restored version was released on VHS and laser (in the then-popular "Pan & Scan" format, meaning it was not presented in "widescreen"). 1988: The "complete" stereo soundtrack, taken directly from the film's stereo soundtrack, was released on CD. 1999: The film was finally released in widescreen (letterbox) format on home video, DVD, and briefly on laser disc. This would be the first time that the home entertainment version would include the three cut versions of "The Man That Got Away", the cut song "When My Sugar Walks Down The Street" (all with restored widescreen picture and sound), as well as containing the complete NBC-TV Pantages Premier footage and the post-premiere Coconut Grove footage. .
2004: The newly restored and expanded CD version of the soundtrack is released. It includes most of the background scoring, a rehearsal recording of "Trinidad Coconut Oil Shampoo", the outtake "When My Sugar Walks Down The Street" and much more. 2010: The film gets an amazing new restoration and DVD release, plus its premiere release on Blu-ray with never-before seen extras. It also is chosen as the big opening night film for the inaugural Turner Classic Movies Film Festival in Los Angeles. This page is dedicated to the late Ronald Haver. Haver was mastermind and the driving forece behind the 1983 restoration. The article reads almost like a detective novel, detailing the incredible story of the search for missing footage and the amazing (and sometimes frustrating) results of that search. 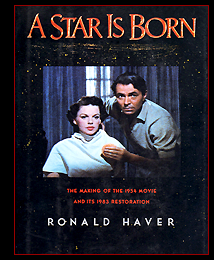 Click on the 1983 American Film Magazine on the left to read Mr. Haver's own account of the restoration of A Star Is Born. The article is an abridged version of his fantastic book "A Star Is Born - The Making of the 1953 Film and its 1983 Restoration." Be sure to pick up a copy online - it's a definite "must have"!! Featuring photos taken during the extensive production period, including rare shots from the very early days of filming before the switch to Cinemascope, snapshots, costume sketches, various premiere photos and items, and more. Featuring photos of scenes from the film (and outtakes) taken on-set during filming. Most were used in various promotional media such as lobby cards, posters, and news articles. Studio "Glamour Shots" or "Portraits" used for various promotional media, similar to the on set photos featured in the gallery above, but usually photographed in a photo studio setting. Posters, lobby cards, magazines, press sheets, programs, and more. Various editions of the film on home video, the soundtrack on everything from LP to cassette to CD, sheet music, and more. For images and detailed information about all of the A Star is Born soundtrack releases, check out The Judy Garland Online Discography's A Star is Born Pages. Go to The Judy Room A Star Is Born Videos Page for lots of great videos! Go to The Judy Room "Judy Sings! Soundtracks" page to listen to, and download, rare music from A Star Is Born. It was listed by Variety as the #14 grossing film of 1954. The film was be re-released in 1959, 1964, & 1969. 1981: The "cut" version was released on VHS and laser disc (in the then-popular "Pan & Scan" format, meaning it was not presented in "widescreen") The sound and picture quality was no better than seeing it on late-night TV. Film preservation was a few years off. July 7, 1983: The film was re-released by Warner Bros. and the American Film Institute as the "kick off" for their "Decade Of Preservation". 1988: The "complete" stereo soundtrack, as taken from the restored film, was released on CD. 1999: The film was finally released in widescreen (letterbox) format on home video, DVD, and briefly on laser disc. This would be the first time that the home entertainment version would include the three cut versions of "The Man That Got Away", the cut song "When My Sugar Walks Down The Street" (all with restored widescreen picture and sound); as well as containing the complete NBC-TV Pantages Premier footage and the post-premiere Coconut Grove footage. NOTE: The picture and sound quality on this 1999 re-release are far superior to anything that had previously been issued. 2004: The newly restored and expanded CD version of the soundtrack is released. It includes most of the background scoring, a rehearsal recording of "Trinidad Coconut Oil Shampoo", the outtake "When My Sugar Walks Down The Street". 2010: The film gets an amazing new restoration and DVD release. Plus its premiere release on Blu-ray with never-before seen extras. It also is chosen as the big opening night film for the inaugural Turner Classic Movies Film Festival in Los Angeles. and the many others who graciously shared items from their extensive collections.